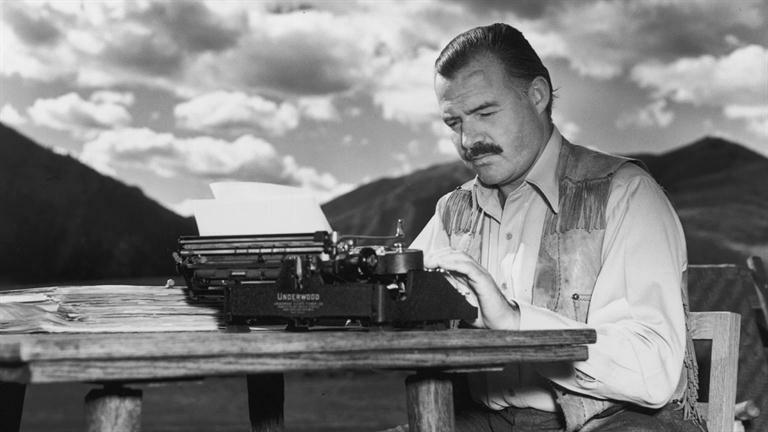 But even Hemingway sat down at the typewriter and just bled sometimes. Writing can be very hard. And writer’s block is all too real. E.B White, the author of Charlotte’s Web, didn’t look for ideal conditions but pushed through less than ideal ones by accepting that distractions are unavoidable. Of course, this means A) not letting interruptions discourage you, B) avoiding interruptions when possible, and C) not creating your own distractions. Haruki Murakami, acclaimed Japanese writer of A Wild Sheep Chase and Norwegian Wood, believes in rigorously training both his mind and body. Not too surprising, since he wrote a novel called What I Talk About When I Talk About Running. This makes plenty of sense; we’re all creatures of habit, and with enough practice we can get used to anything—even writing for 6-8 hours a day (which any professional journalist, copywriter, or novelist has to do on a daily basis). If that sounds too daunting—try NaNoWriMo the next time it rolls around. I guarantee you’ll be surprised at what you’re able to accomplish. A slew of famous writers, including Marcel Proust, William Wordsworth, Edith Wharton, and Truman Capote, were bedbound while they wrote. You might not have a maid or a secretary, but you can certainly try to set aside your cell phone and keep a notepad or laptop by your bedside instead. The same goes for your commute (assuming you don’t drive). Instead of whipping out your cell phone and going on Facebook, try to write instead. You’ll be amazed at how well you can focus in transit, when most of your daily distractions are out of the picture. You might not have your whole novel already written in your head like Nabokov, but the index card method let’s you easily rearrange your story in an intuitive way. The limited space of an index card also forces you to be concise. Hugo understands the appeal of procrastination, ever writer’s best friend. But by putting himself in an uncomfortable situation he made writing the means for a reward. You can do the same thing to incentivize yourself. Maybe ask your spouse to hide your shoes, or turn off the cable and internet.